It is kind of cool to have others occasionally help in choosing books. It opens up reading opportunities that one might otherwise not know about. I personally find it very fruitful. This looks like a very interesting group of books. Brian - Oh definitely! I like the variety in the selections people recommended too. Some of the authors/books are unfamiliar to me, but fortunately all of the books appeal to me. I hope you have a great 2017 in books too. I keep hearing good things about A Man Called Ove! I really, really hope my library gets it (since most of my books are from the library). The Bear and the Nightingale and Shades of Milk and Honey sound really good too! Can't wait to see your reviews of them! Eustacia - I am hoping my library has most of these. I already know it doesn't have Shades of Milk and Honey. :-( I'm going to probably get that one used.I hope your library does get in a copy of A Man Called Ove! I think you might like that one. Kelly - I hope you are able to get into Uprooted when you try again. I am enjoying it so far. I need to get my hands on a copy of Shades of Milk and Honey. That was one I was not too familiar with before, but it sure sounds good! I almost DNF A Man Called Ove and so glad I didn't, what a gem and memorable characters. Definitely a winner. I am a Lisa Genova fan but Inside the O'brians was my least favourite, if you haven't read her before definitely read Still Alice or Left Neglected. I wasn't a fan of Ordinary Grace but for the most part my book club enjoyed it. Enjoy your choices. 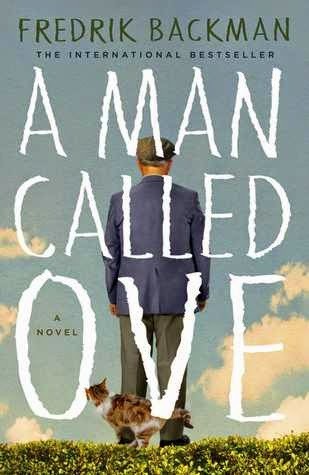 Marce - A Man Called Ove was one of my favorites the year I read it. I have read a couple of Lisa Genova books (Love Anthony and Still Alice) and liked them--hopefully I will like Inside the O'Brien's too. Ordinary Grace will be my first by Krueger. Thanks for your input, Marce! I loved Brooklyn, Ordinary Grace, and A Man Called Ove. I think you've put together a great list. Kathy - Thank you! You all have great taste. :-) I'm looking forward to reading them. The Ghost of Belfast is excellent, but about a brutal time during the Troubles. I also really liked The Fifth Season and Uprooted. I tried Ancillary Justice because a blogger I really respect loved it, but I couldn't get involved. She also recommended The Traitor Baru Cormorant, and I loved it. I'm interested in The Girls in the Garden by Lisa Jewell--I have a review scheduled for Jewell's I Found You, which I liked a lot. I've started The Bear and the Nightingale, but wasn't enthralled and will try again later. Another favorite from this past year is The Girl in the Garden by Melanie Wallace. Confusing--because the title is so similar to Jewel's book. Jenclair - I've heard Ancillary Justice takes a while to get into, so I'm hoping if I stick to it, it will work out well for me. My husband hasn't actually read it himself, but it's on his wish list. I'm really looking forward to reading The Ghost of Belfast--it sounds very good. And The Fifth Season is one I recently became really interested in. I just started Uprooted last night and am enjoying it so far. Brooklyn by Colm Toibin sounds fantastic, and I think it was the basis for the movie of the same name. I really loved the movie, so if you like movies, I highly recommend that! Have a great 2017 in reading. Serena - I definitely want to see the movie Brooklyn. I've heard it is really good. Of course, I hope to read the book first. ;-) I hope you have a great 2017 in reading as well! Lark - Thank you! I am glad to hear you enjoyed both of the winning picks. :-) I'm not too familiar with Simone St. James's work, but they all sound like books I would really enjoy. I am looking forward to giving her work a try! I loved Uprooted. I think it is a book that I will read again since I enjoyed it so much. I am looking forward to seeing your thoughts about it. I can see why you had to draw names! It would have been impossible to choose any other way. I'm really excited to see what you'll be reading - especially Shades of Milk and Honey because I've really been wanting to read it. Uprooted is on my TBR as well so I'll be looking for both reviews! I would want to read them all as well, Wendy! A couple of the authors look familiar, and I've read a couple of the Country Club Series by Julhern. What a great list of books!! I have read ORDINARY GRACE and INSIDE THE O'BRIEN'S. Both are quite good, but ORDINARY GRACE is stellar. I have a couple of the others in my stacks and want especially to read THE GIRLS IN THE GARDEN and THE HAUNTING OF MADDY CLARE. Good luck and let's have such a good reading year in 2017!! Kay - Thank you! I think so too! I'm really excited about reading all the recommendations. They all sound so good. I am glad to hear you enjoyed Ordinary Grace and Inside the O'Briens. I hope you have a great year in books as well! Yay for good books! Ive read a couple, have most of the others on my wishlist and recommended one to you, listed above. So many good titles! I know you'll enjoy them. I enjoyed The Girls in the Garden last year. I would love to get to A Man Called Ove this year. Happy reading! Grace - The Girls in the Garden sounds really good. I hope you get a chance to read A Man Called Ove. It's very good! I read The Girls In the Garden last summer and thought it was pretty good so I hope you check that one out! So many good books to look forward to! Iliana - I definitely plan to! I've been wanting to read The Girls In the Garden. Samantha - Don't they all sound wonderful? I'm really looking forward to reading all of them. Melody - Yes! Many of the books I read are a result of hearing about them on other people's blogs.